A landing page, sometimes also known as a "lead capture page” is a web page that often appears when clicking on a link in an email that promotes a product or service. A lead capture page is most commonly used to collect email addresses in exchange for a free product. The lead capture page is generally the first step in a sales funnel. Once the seller has your email address, the will be able to send you a series of emails to move you through the sales process to eventually get you to become a customer. This page will usually display limited sales copy related to a product or service. The goal of the lead capture page, is to ask you to submit an email address in exchange for more detailed product information. Creating a landing page for your WordPress blog does not have to be a difficult process, and should not require coding or HTML programming skills to create. Most Landing Page tools require just filling in information, or can be a plug-n-play tool. The first option is to install landing page software. Most canned landing page software products you can use in your blog are pretty limited, but simple to use. They generally offer a few templates, a few fonts and 2 -3 colors. This option is good if the goal of your landing page is an opt-in form to get an email address in exchange for a free product, such as a report or an e-book. If you want to use a landing page software for an advanced role, such as to sell a high ticket product or enroll in a course or webinar, you will most likely need a custom landing page product, which can allow you to include more information, custom fonts, images or graphics and even a video. You usually have to save the landing page to your computer, then import to your WordPress. Who has time for that? What if you can create a landing page right inside your WordPress and publish it in a few minutes? No need to save it to your computer and upload. Some WordPress Themes, such as Afilotheme from Affilorama, comes with landing pages built in to the theme. This can include opt-in forms, Landing pages and Call to Action, for example. 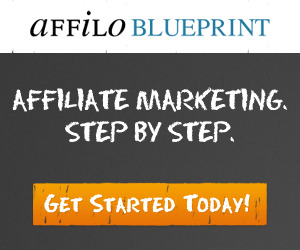 Affilotheme is a WP theme created by an affiliate marketer for affiliate marketers. 1. Click appearance on the left side menu bar. 5. This will display the free WordPress themes that include a landing page or opt-in form option. 6. Choose the WordPress theme you want then scroll mouse over each theme. 7. You can select Details and Preview, Install or Preview. 8. Choose the theme you want and select Install. 9. Choose the theme and select "Activate." 10. Select customize to choose the theme features you want. If you want a pemium version of the theme, some of the free themes offer a premium paid version. You can choose this within the theme dashboard. You can also type Paid WP themes with landing page, for other premium WordPress themes with landing pages you can install. If you choose this option, follow the instructions to install the theme. A WP landing page plugin often contains clear, concise action-oriented headlines. A good landing page explains the product or service being marketed, and offers in a clear benefit and uses convincing visual and written details on the value of the product or service. exchanging an email address for free report. Getting a free limited version of the product with an upsell to a paid version with more features. What if You Could Use a Landing Page WordPress Plugin? If you have a WordPress theme you like, but doesn't include a landing page, you can install Landing Page WordPress Plugin. InstaBuilder 2.0 is a unique WordPress Plugin that allows you to build a custom landing page for your product right in your WordPress. You have access to custom fonts, graphics and colors to create eye popping graphics anywhere on the page. Who wants to be stuck using a canned landing page program that may or may not meet your needs, have just a few colors and graphics? 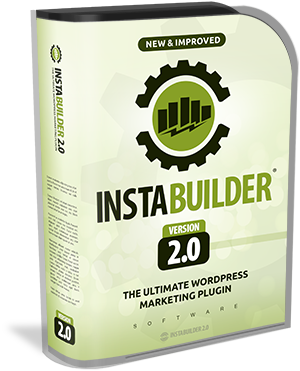 With InstaBuilder 2.0 WordPress plugin, you can now build a custom landing page on demand in just a few minutes. You don't need any HTML background, and no programming skills. 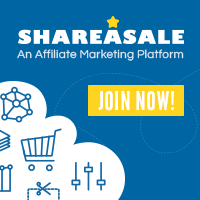 This is a drag and drop program any marketer can use.